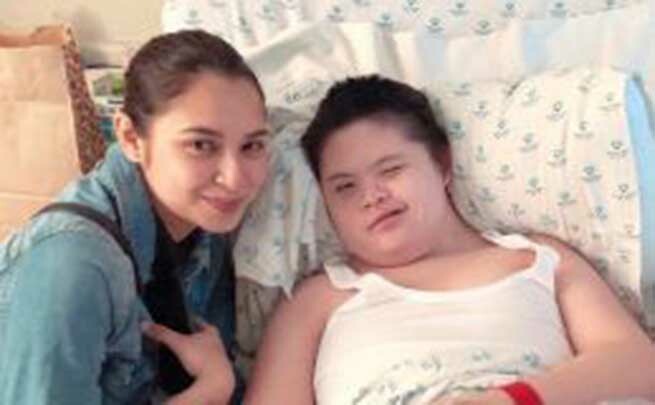 After the ‘Bagani’ star Sofia Andres shared the unfortunate news that her brother Bryan suffered from mild stroke and a mass was discovered in his brain, the actress expressed her joy upon seeing her brother happy despite his condition when his crush Ryza Cenon made a surprise visit in the hospital. In her Instagram stories, Sofia shared one of the happiest moments of her brother as he got to finally see the ‘the General’s Daughter’ star. Bryan who was still lying in the hospital bed flashed a smile upon seeing the ‘The General’s Daughter’ star and even held her hand. “no words can explain how happy he is,” she added. Bryan was also diagnosed with Down Syndrome when he was 12.